Young parents will be able to take good care of their baby dolls with this charming feeding set. 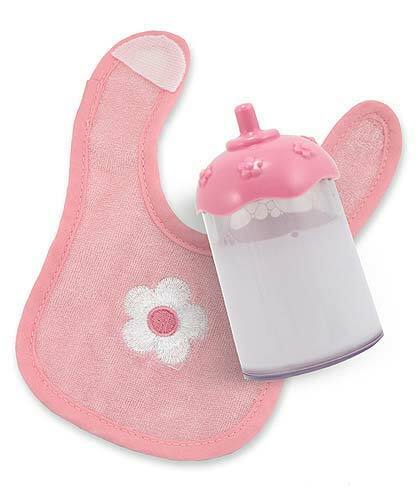 Prepare your baby doll for mealtime by fastening the self-stick, embroidered bib. Little Mommy or Daddy will be fascinated to see the milk disappear from the bottle as baby "drinks" and makes it "all gone"!